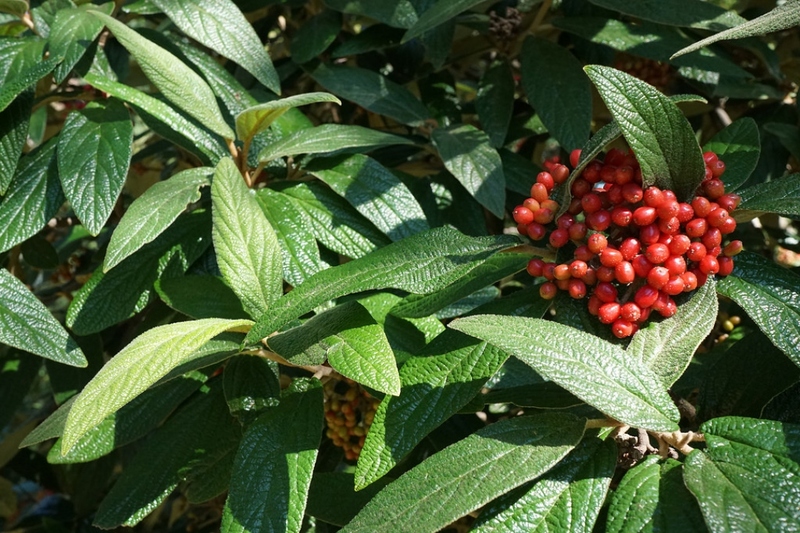 Leatherleaf viburnum (Viburnum rhytidophyllum): growing, planting, caring. 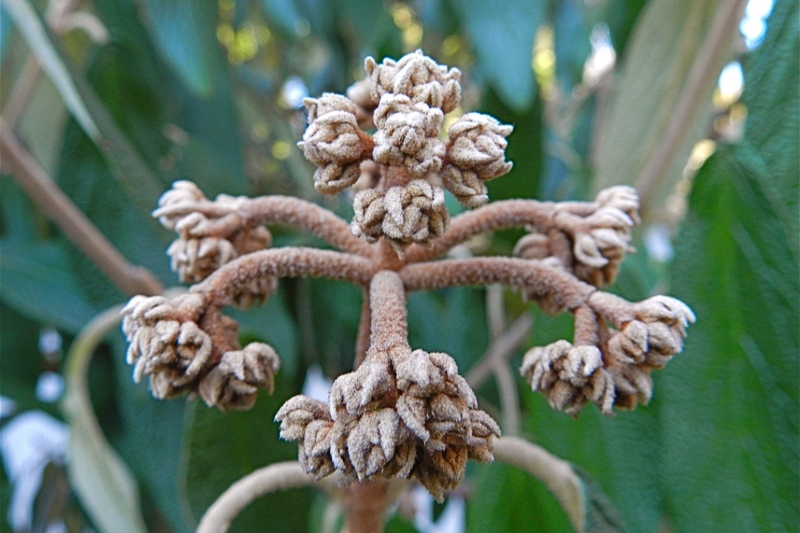 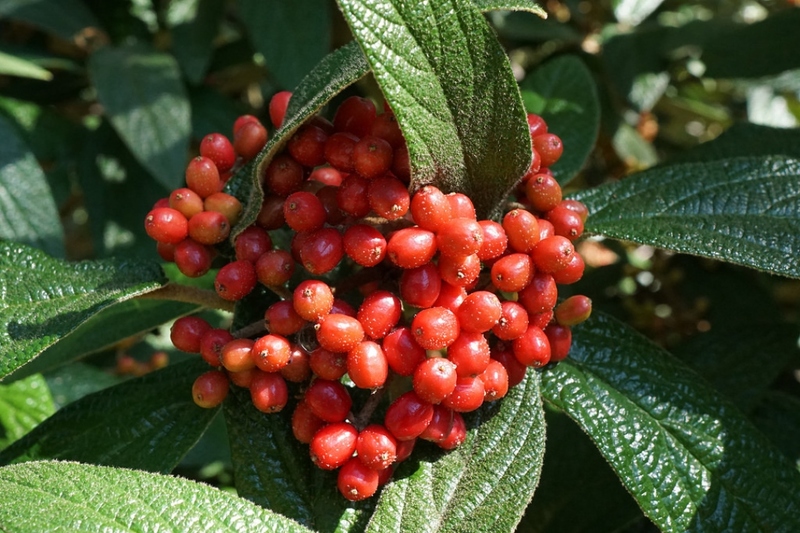 Viburnum rhytidophyllum - the leatherleaf viburnum - is a species of Viburnum with an upright habit and 8-inch (20 cm) long, lustrous, deeply veined oval leaves with dark blue-green surfaces and pale green undersides. 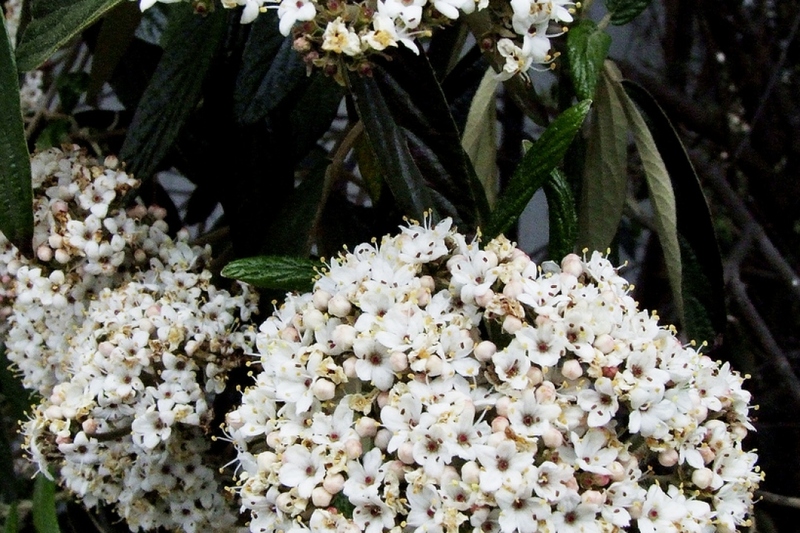 In spring, fragrant creamy-white flowers bloom in clusters.